The Reverend Doctor Jay Moses is deeply committed to interfaith understanding and reconciliation. He serves as Pastor of Hope Presbyterian Church in Wheaton. His example of inclusion and knowledge of many faith traditions serve to make Hope Presbyterian a beacon of peace and understanding necessary in a world where misunderstanding and violence abound. Leading with the congregation and ministry team at Hope, he sets an example of which we are proud. Jay began his Studies at Azusa Pacific University (B.A. Clinical Psychology/Biblical Studies), Fuller Theological Seminary (M. Div. Christian Origins), Northern Seminary (D. Min. Liturgical Studies), and the Catholic Theological Union (M.A. Interreligious Dialogue/Islam) and currently is working on a Certificate in Christian Spiritual Formation from the Transforming Center. However, the greatest learning he receives is from his friends, his family, and the congregations in which he has served (although his dog Victoria teaches him as well). 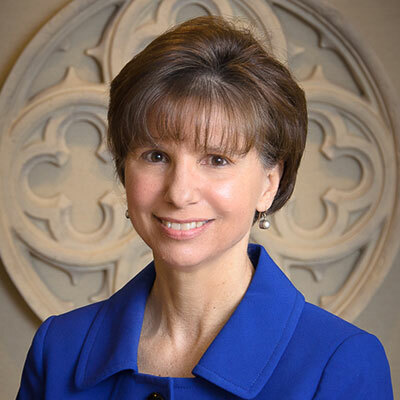 Katie is an ordained minister in the Presbyterian Church (U.S.A.) and brings 28 years of parish experience to Hope. She has worked in pastoral care and counseling, spiritual direction and as a pastor and associate pastor across the country. 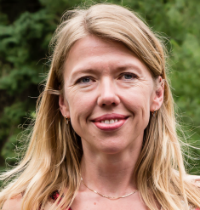 A graduate of Barnard College, Columbia University, Union Theological Seminary and San Francisco Theological Seminary, Katie is a skilled counselor, group facilitator and spiritual director. 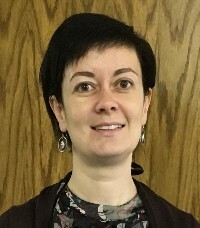 She also has experience in congregational-based community organizing and small church re-development work and has particular interest in community engagement, positive change and church revitalization. 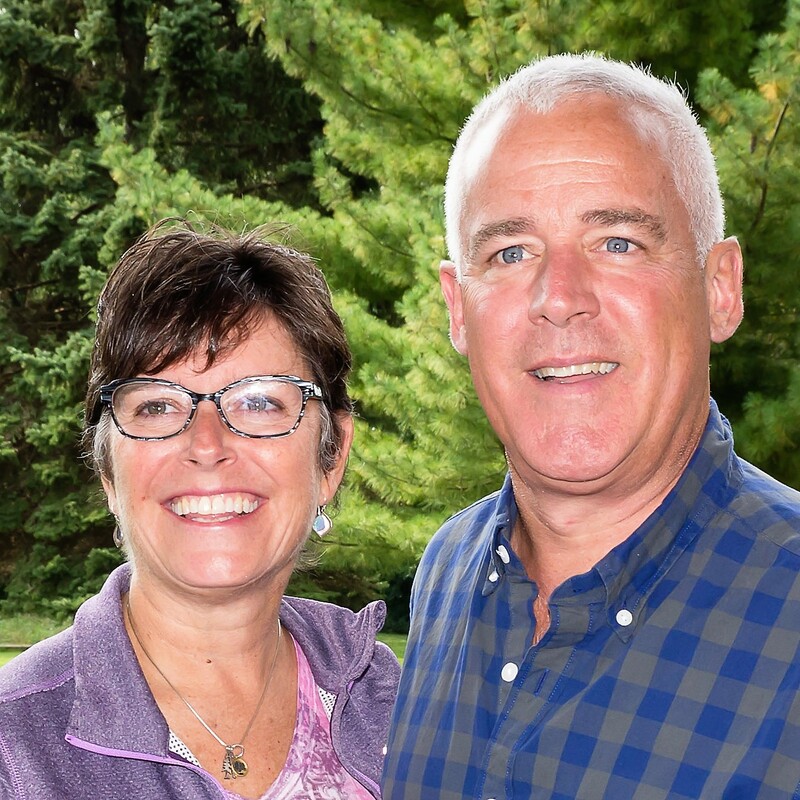 Joe and Suz Strauss are the new leaders of Lighthouse. They just joined Hope in May, 2016. They have been residents of south Wheaton for 23 years, where they raised their 2 sons. Suz has been an educator in District 200 for almost 20 years. She is currently the Assistant Principal at Monroe Middle School. Joe is a District Manager at Farmers Insurance. He has coached kids throughout his life. Joe is serving as an Elder at Hope. They enjoy working as a team to help the kids navigate their spiritual journey. Jenny Goudreault and her husband of 35 years, Paul, joined Hope in 2016. Their family includes three sons, two daughters-in-law, and a grandson. Jenny grew up in Wheaton and now she spends her days with children, working as a pediatric dental assistant. In her spare time she enjoys art, and she and Paul sail their boat on Lake Michigan. Jenny leads F.R.O.G., Hope's youth group for Kindergarten through 5th grade. Her interest in art and creativity make for a lot of fun times for Hope's F.R.O.G. kids! 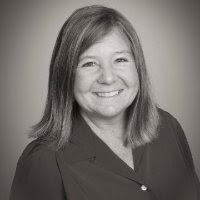 Beth Cecil is excited to join the team at Hope. 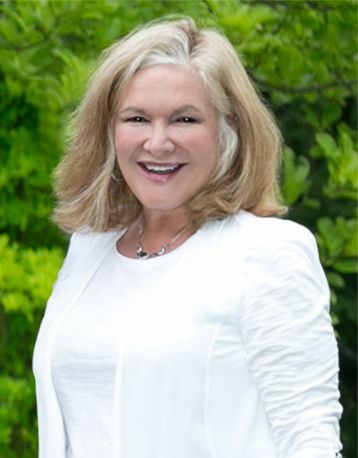 She grew up in Wheaton and worked in a private health and tennis club for over 30 years. 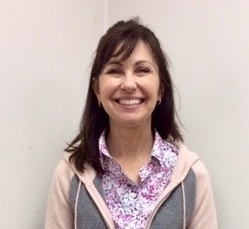 In her spare time Beth enjoys reading, tennis, golf and doting on her beagle, Scout. Directing all choir and musical activities, Yuliya was born in Minsk, Belarus. Playing the piano since she was 5 years old, Yuliya studied at the Minsk Music Academy Lyceum with highest honors and was accepted to Belarusian State Academy of Music. A virtuoso, Yuliya received a Master's degree with honors in Piano Performance, Accompanist and Music Instruction. In 2004 Yuliya moved to the USA. For the past ten years she has worked at Hope Presbyterian Church, first as an accompanist and now as the Choir Director. Yuliya also works with several ballet schools including the Joffrey Ballet Chicago. Svetlana has been Hope's Choir Piano Accompanist for the past four years. Originally from Yekaterinburg, Russia, she came to the United States 12 years ago. Also a virtuoso, Svetlana has played the piano since she was 6 years old and graduated from Yekaterinburg Musical College. 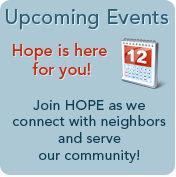 Our communal leadership partners with Hope Presbyterian Church to seek peace, understanding, and relationships across our communities seeking to plant the seed of friendship and solidarity within Wheaton for our children and beyond. 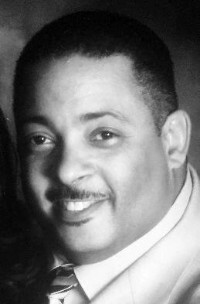 The Reverend Ron Beauchamp is Pastor of Bethel New Life here on this hill of Hope. He has been a pastor for many years, and served at Northern Seminary and Elmhurst College. Ron serves the flock at Bethel New Life on Sundays at noon with both teaching and preaching ministries. In a world of great conflict and misunderstanding, Ron, along with his wife Laverne (The First Lady) work alongside Hope to bring both congregations together to find a "better" way through Christ's teaching reconciliation and love. Professor Azam Nizamuddin is currently Adjunct Professor in the Department of Theology at Loyola University Chicago where he teaches courses on Islam, including history and mysticism, and World Religions. 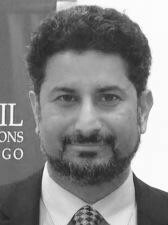 He is also Chairman of the Interfaith Committee for the Council of Islamic Organizations of Greater Chicago, the leading para Islamic Organization in covenant with the Presbytery of Chicago. Azam helps, advises, teaches, and coordinates Hope's committment to the Islamic community in Wheaton and in the DuPage County Area. Pastor Michaeljohn Reszler serves as Hope's Director of Native American Outreach. 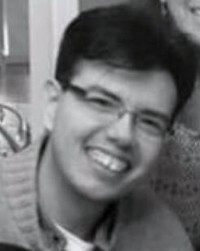 "MJ" has studied at the Catholic Theological Union and is a member of the Ojibwe Nation residing on the Bad River Reservation near Lake Superior, Wisconsin. Michaeljohn oversees Native/Christian dialogue by his seasonal visits and invitations to those who gather at Hope. He also advises on issues of the environment (Faith in Place) as well as teaching and preaching during his stays in Wheaton. Rabbi Steve Bob is Rabbi in Residence in our community at Hope. 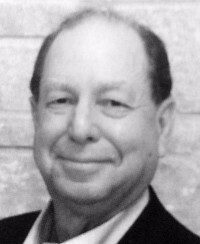 Steve is the Rabbi Emeritus at Etz Chaim Congregation in Lombard where he served for over 30 years. 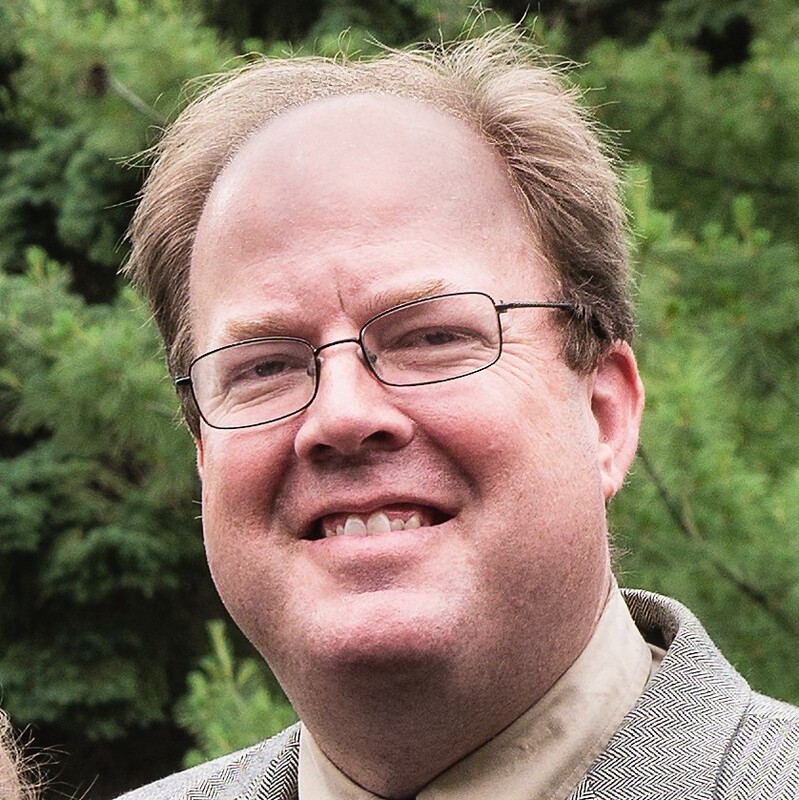 He is the author of Go to Ninevah and Jonah and Meaning in our Lives and teaches at both Wheaton and Elmhurst College. Steve serves Hope in our relationship with the Jewish community through preaching and teaching throughout the year. 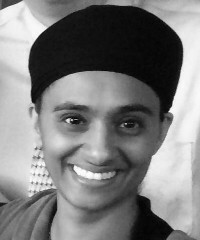 Jasvir Kaur Singh is the co-founder of the Sikh Healing Collective, a mental health relief effort that was created to meet the immediate needs of the Sikh Community in response to the Sikh Temple Shooting in Oak Creek, Wisconsin in August 2012. She also spends her time as a counselor for various Sikh camps and retreats around the country. Her passion is to empower women and teach gender equality through education, insightfulness and Sikh history. Jasvir helps the Hope community learn about and work with the Sikh community of Wheaton, and facilitates and guides the bridge-building efforts between the two goups.